However, I really REALLY like inspiring people, and I especially like inspiring women not to hang out being afraid of doing things like towing their Airstream, or docking the boat, or grilling the meat or whatever. 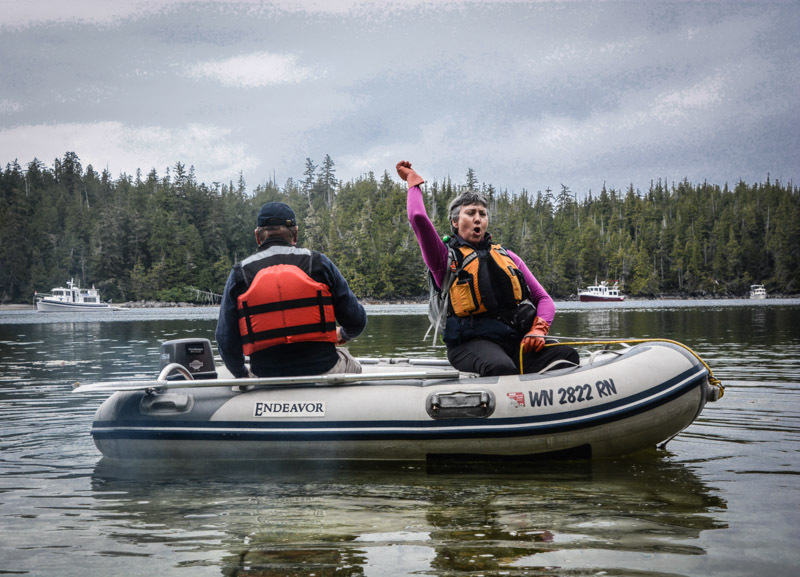 So I agreed and decided it would be fun to share some of my stories about how I dove in and learned all the stuff I needed to learn to feel comfortable handling our boat and navigating the Inside Passage to Alaska. I told Margaret I'd never taught anything, but she assured me she could handle the whole thing if need be, but that she'd love to have me and my stories and my photos to help inspire women who were new to boating or worried about how difficult things would be to learn, etc., and so I agreed. But then Kevin broke his (right) arm, and suddenly my responsibilities for the next few weeks increased quite a bit. I'm driver and nurse and cook and also helping Kevin write the articles he needs to write, and so on. We've got a post-op appointment and a hand therapy appointment flanking the first weekend of the Boat Show now, so I told Margaret I needed to bow out. Luckily, she found another (probably better) co-teacher in Linda Lewis and I know they'll put on an interesting, informative seminar on February 1st. 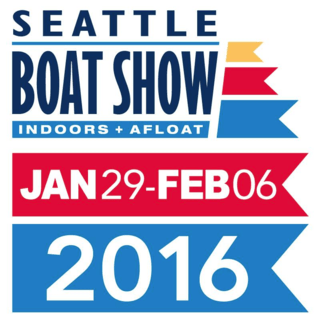 The Seattle Boat Show University is offering an all-day class for women sailors and power-boaters, presented by experienced instructors Linda Lewis and Margaret Pommert. A Woman’s Perspective: 101 Practical Tips for Safe and Fun Cruising is for both women who skipper and those who are ‘first mate’, and will cover topics most requested by women, including docking, avoiding seasickness, and what you need to know about marine engines and systems. This course is Monday, February 1, from 9am to 4 pm. Cost is $100. It will be a fun day of learning, laughter, and new women boater friends! p.s. Women's Day at the boat show is free for women with a pass that you can get here. Some seminars on Women's Day are free. Here's a link to all of the free boating and fishing seminars on Women's Day. The Boat University seminars cost $, but they're very reasonable and there are so many good topics to choose from. Here's a complete list. p.s.p.s. We're planning to head up to the boat show after Kevin's post-op appointment, so we'll (fingers crossed) be there for the last half. We hear the Nordic NW/Nordic Tugs booth has a nice display happening, with our Waggoner Guide Airship cover shot and all! We gotta see that! Previous Post Where’s the Rewind Button?